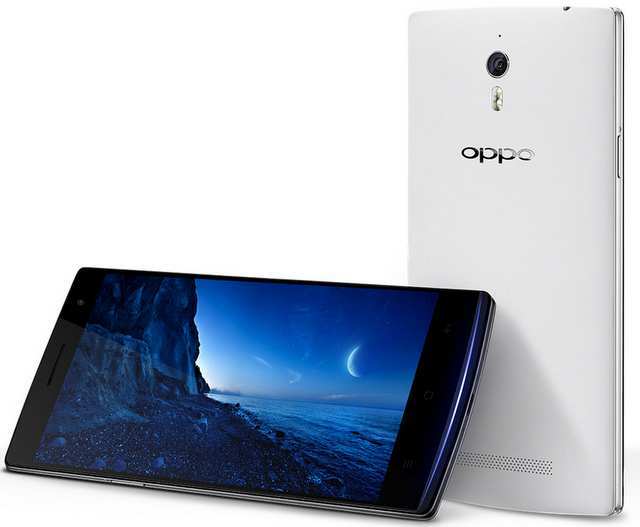 Many of us were waiting for the Oppo Find 7, which has been launched today in China. The Find-7 is successor to there popular Find-7. It comes with vigorous specifications and most importantly it comes at very affordable price considering the specifications. The new Find 7 features a 5.5 inch 2560 x 1440 pixels ( 538 ppi ) Quad HD Display with Gorilla Glass Protection on the top. It draws the strength from 2.5 GHz quad core CPU based on Snapdragon 801 chipset, similar to Gionee Elife E7. It is camera centric smartphone, like its brother N1. It houses a massive 13-Megapixel primary camera, which can shoot up to 50 Million Pixels resolution image. The front facing camera is on 5MP resolution. To boot the phone there is 3GB of RAM coupled with Adreno 330 GPU. There is 3000 mAh battery to make the smartphone alive. The Oppo Find 7 features fast charging tech with VOOC. Talking about the connectivity, it has 4G LTE, 3G, WiFi ac 2.4/ 5GHz , WiFi Direct, USB OTG, Bluetooth v4 and GPS. It runs on Android 4.3 Jelly bean OS with company’s own customized UI ( color OS 1.2 ) on the TOP. The Company would update its latest flagship in future, at least Android 4.4 kitkat can be expected. To Make the user Delight, it has enhanced audio / sound experience with MAXX-AUDIO. Overall the company has included many new technologies to make the phone unique and approachable. It would compete with Nexus 5, Samsung Galaxy Note 3, Samsung Galaxy S5, upcoming LG G Pro 3 and Sony Z1 Ultra. It comes in White and Black colors, there is no info on the availability yet. The Find-7 is priced at 3498 Chinese Youan, which is RS 35,000 approx in INDIA. The company has also announced the Find 7a, which as Full HD 1080p display.